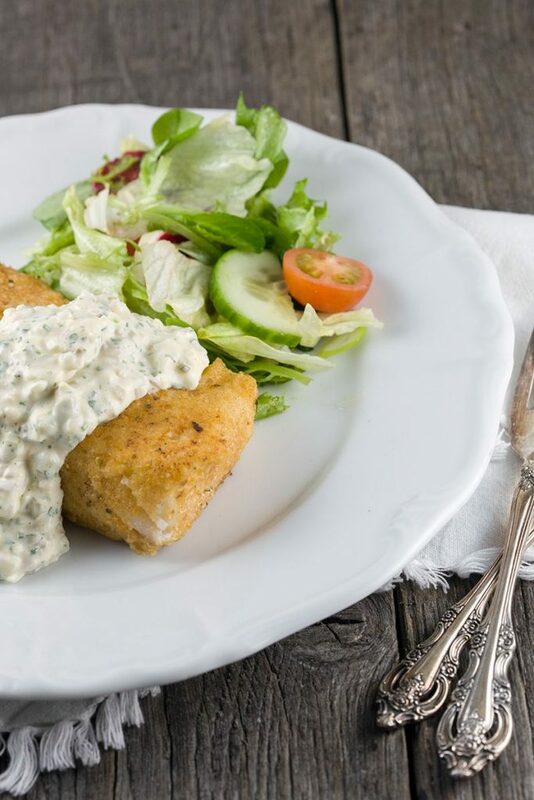 Crispy cod with tartar sauce is a lovely weekday meal that's ready within 20 minutes. Nothing beats homemade sauce, don't you think? BOIL 1 of the eggs for about 8 minutes and then peel the egg. Meanwhile CHOP the pickles into small pieces. PEEL and finely chop the shallot. 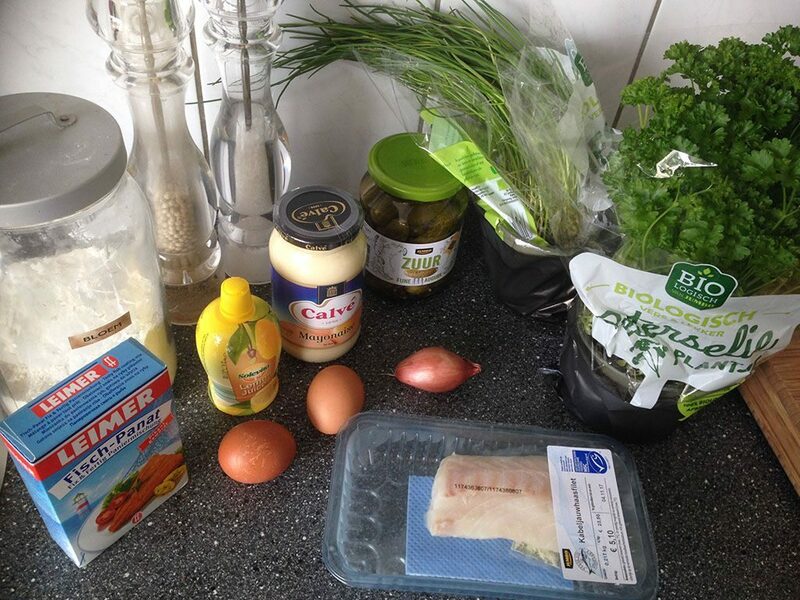 Finely CHOP the parsley and chives and combine them with pickles, shallot, lemon juice and mayonnaise. Use a fork to create small pieces of boiled egg and stir them into the sauce. SEASON with pepper and salt. SEASON the fish with pepper and salt. 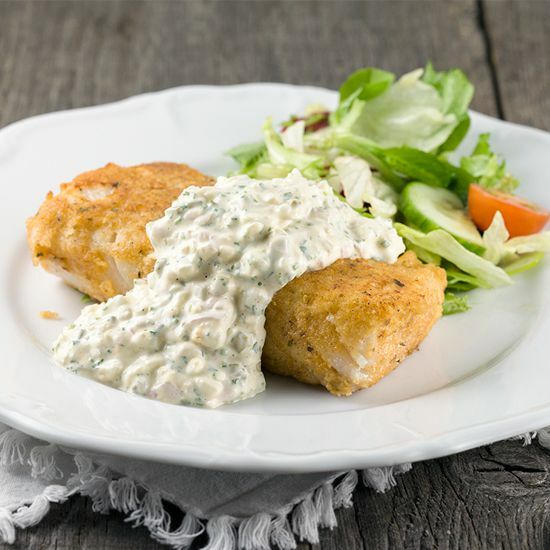 COAT the fish with a small layer of flour, then a beaten egg and for the last step the bread crumbs. HEAT oil in a large skillet and fry the fish for a few minutes on each side. The exact time depends on the size of the cod fillets. 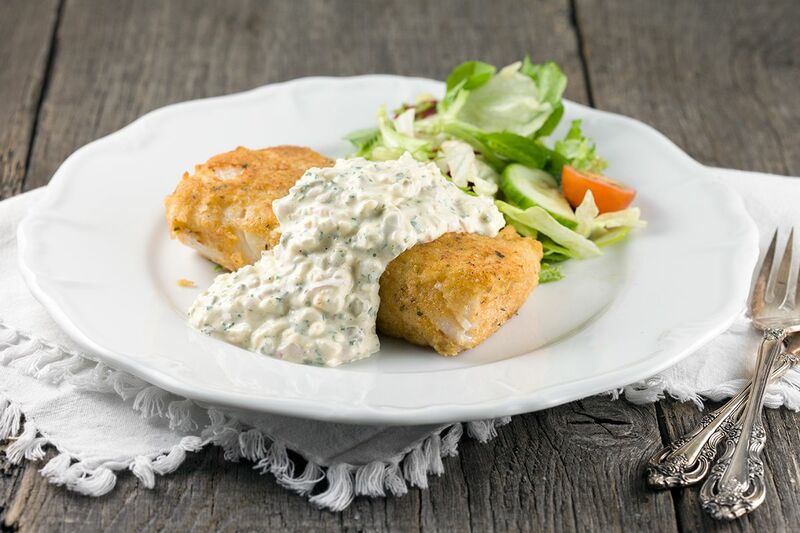 SERVE with tartar sauce, salad and fries or pasta. Enjoy!